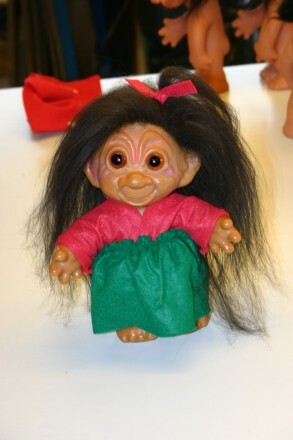 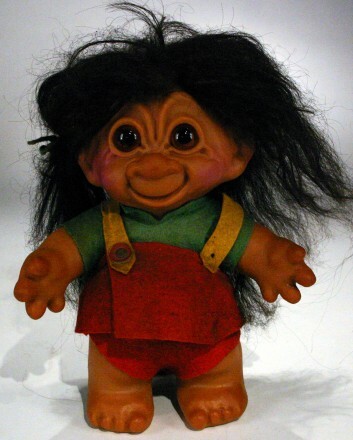 Rubber troll girl from the late 50´s Very nice condition. 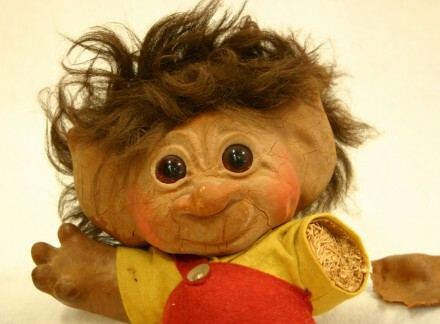 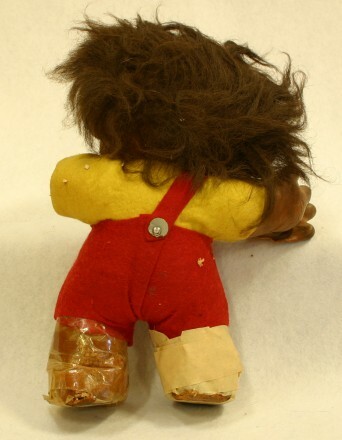 Extremely rare rubber troll 1960. 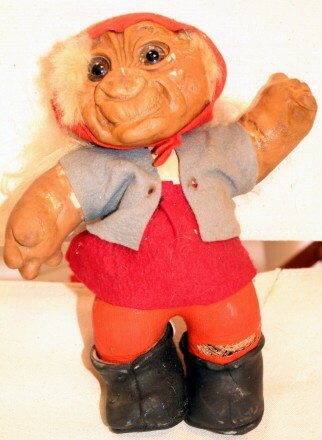 Lykketrold 1961. 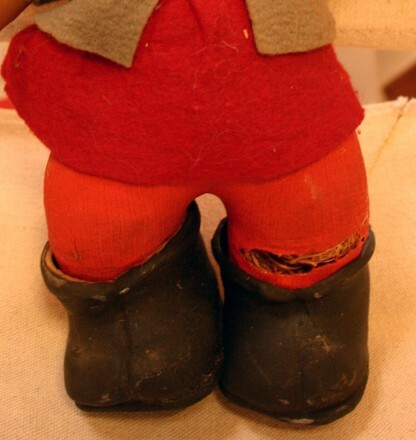 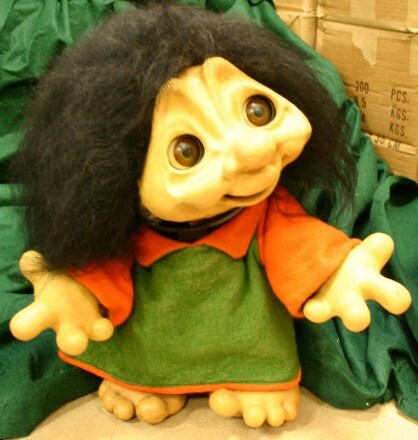 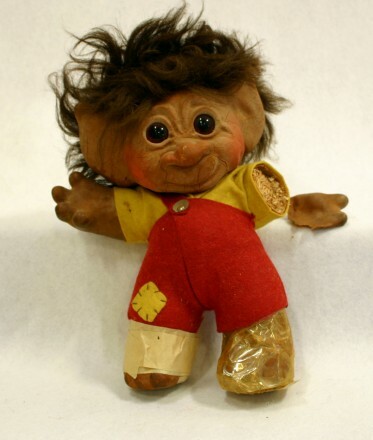 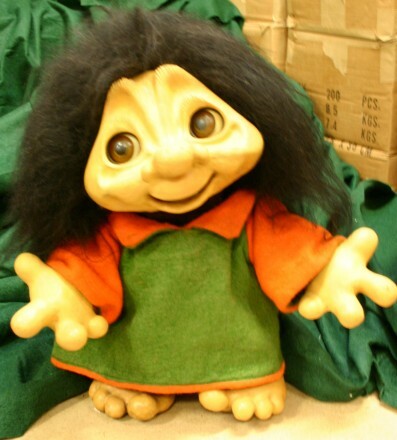 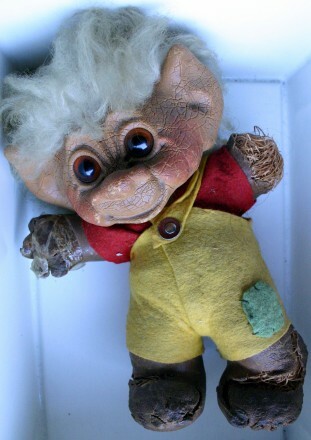 PVC troll filled with wood shavings.